On September 26, 2012, Fr. 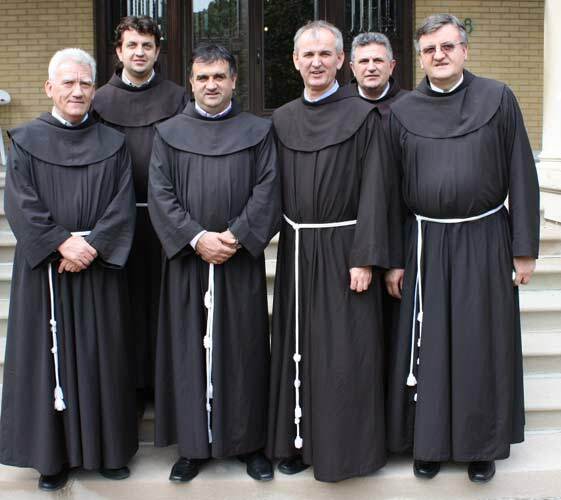 Jozo “Joe” Grbeš was elected to a 3-year term as Custos by his fellow friars at the Chapter Meeting of all the members of the Croatian Franciscan Custody of the U.S. and Canada. Chaired by Fr. Ivan Sesar, the Provincial of our home province based in Mostar, the Chapter Meeting also elected to 3-year terms the members of the four-member Custodial Board. From left to right in the picture above are: Fr. 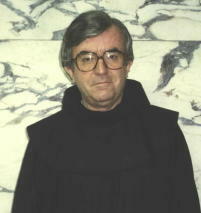 Jozo Grubišić, Fr. Ivica Majstorović, Fr. 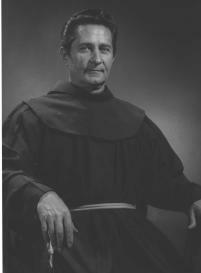 Ivan Sesar, Fr. Jozo Grbeš, Fr. Ljubo Lebo and Fr. Marko Puljić. Father Joseph (Mate) Abramovic, a member of the Holy Family Croatian Franciscan Custody of the United States and Canada, died on Sunday, January 22nd, 2012 in Chicago's Mercy Hospital. Father Joe was 76 years old and had been a priest for 52 years. Father Joe's Mass of Resurection was held on Thursday, January 26th in St. Jerome's Church, and burial followed in Holy Sepulchre cemetery. May he rest in peace! Here is a link for a slideshow about Fr. Bruno Raspudić's life (Click here). + Fr. Jerome Kucan, O.F.M. Ordained a priest on June 24, 1951.
from 6 p.m. to 8 p.m., prayer service at 7 p.m. The Funeral Mass was on Jan. 6th, 2011, at St. Jerome’s Church. At the regular chapter meeting of the Holy Family Croatian Franciscan Custody held every three years which took place November 16-19, 2009 at St. Anthony's Monastery in Chicago, a new custodial board was chosen: Custos Father Paul Maslac and board members Father Steve Pandzic, Father Ljubo Lebo, Father Nikola Pasalic and Father Ivica Majstorovic. 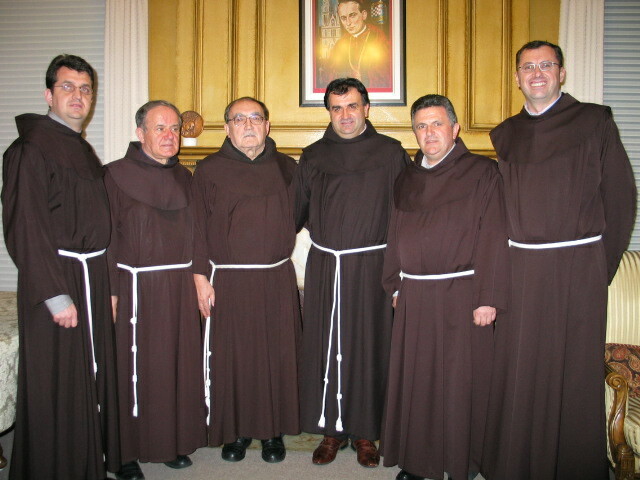 The meeting was presided over by the Provincial of the Franciscan Province of Herzegovina, the Assumption of the BVM, dr. fra Ivan Sesar. We wish the new board God's blessings and success in their work. Fr. 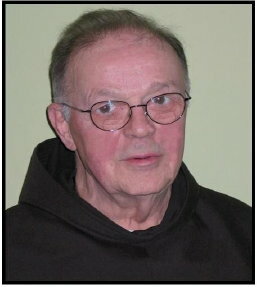 Častimir Timothy Majić, a member of the Croatian Franciscan Custody of the Holy Family for USA and Canada , celebrated his seventieth anniversary of priesthood. The Eucharistic celebration on July 26 in the Croatian parish of St. Jerome in Chicago was led by the Custos, Fr. Marko Puljić. Concelebrating with the honored celebrant, Fr. Častimir, were the pastor Fr. Jozo Grbeš; the guardian of St. Anthony monastery in Chicago, Fr. Joseph Nenad Galić; the monastery vicar, Fr. Ljubo Krasić and Fr. Philip Pavich, a member of the Custody. In the sermon Fr. Marko spoke about God feeding his people with "outstretched hand" and calling them to interpersonal sharing and giving. Man is ready to share and give authentically only when he recognizes God's gift in all that he has and in all that surrounds him. Giving always enriches twofold, the one who gives and the one who receives, because as the great Dostojevski says, only what we have given to others goes with us to heaven. Reflecting this thought the preacher emphasized the readiness of Fr. Častimir’s mother Iva, who after the death of her husband Ante, did not stand in the way of her only son becoming a Franciscan and a priest, but readily gifted him to God and the Church. It is obvious that, when sharing with others is done with love, the blessing is increased beyond measure just like the lad’s bread and fish in Jesus’ hands. Through Fr. Častimir, Franciscan and priest, many have felt the power and beauty of God’s blessing in his seventy years of priesthood. Are we also ready to give that way, asked Fr. Marko, especially when it comes to inspiring young people in our families to decide for a priestly and religious vocation. The pastor, Fr. Jozo, collaborating with the parishioners arranged a banquet in the parish hall in honor of the celebrant. Mario Romanović provided musical entertainment. During the banquet numerous congratulatory messages arriving from all parts of the world were read with special attention given to those sent from Mostar by Provincial Fr. Ivan Sesar and the Minister General of the Franciscan Order, Fr. José Rodriguez Carballo. 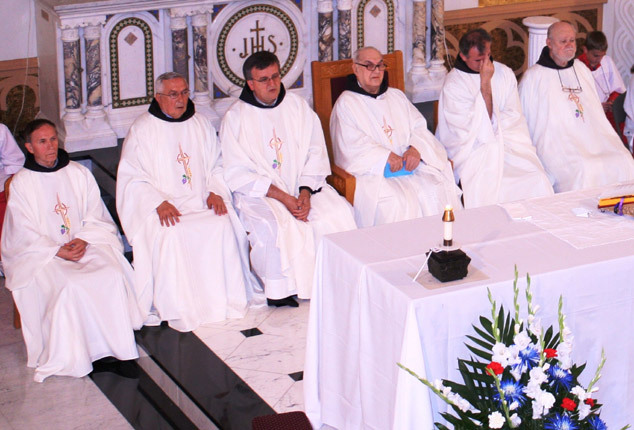 Several speakers also recalled their memories of the life and work of Fr. Častimir. It was especially touching to listen to those that Fr. Častimir encouraged as children of Croatian immigrants, and those he inspired to learn the Croatian language, history and heritage. Fr. Častimir's involvement in the organization, gathering and shipping of humanitarian aid to the Old Homeland during the war there around the end of the twentieth century was also highlighted. Representives of the Croatian parishes in which Fr. Častimir once served also came. At the end of the banquet the celebrant of honor thanked God that he lived to see this day. He thanked those present who came to the Eucharistic celebration and the communal banquet. He remembered his co-workers in newspaper work and in other fields of labor who have moved on to eternity and he jokingly invited everyone to come to his one hundredth birthday. Fr. Častimir Timothy is the oldest member of the Custody and of the Herzegovinian Franciscan Province . He was born January 9, 1914 in Vitina in Herzegovina . His parents were Ante and Iva nee Boras . At baptism he was named Ivan-John. Then World War I came and took his father away from the battlefield to captivity in Russia . Immediately upon returning from Russia his father died in 1923 and little Ivan-John got a late start in elementary school in Vitina, finishing in 1927. Then he went to middle school in Široki Brijeg and as a gifted and capable student, successfully finished in 1936. Meanwhile he entered the novitiate in Humac near Ljubuški in 1933 and was named fra Častimir-Timothy. After a year of novitiate, he studied philosophy and theology in Mostar. He made his solemn vows on July 4, 1937 in Mostar and was ordained a priest by Mostar Bishop Fra Alojzije Mišić on June 4, 1939 , as World War II began. Of those nine newly ordained priests two are still living, Fr. Častimir and Fr. Zoran Ostojić. During World War II the Provincial administration sent him to Freiburg for German studies. He attained his doctorate in 1946. Then he began a second doctorate in general theology also in Freiburg and finished in 1951. That same year he left for the USA and joined the Franciscans of the Holy Family Custody who were working in North America already from the beginning of the 20th century. Fr. Častimir did pastoral work in the Croatian parishes of St. Louis , New York and Milwaukee . In addition to being occupied with pastoral work, for several terms he served as editor of the weekly Danica-Dawn, which came out of Chicago . Also for several terms he was editor of the Croatian Catholic Almanac and the Croatian Catholic Messenger, both publications of the Croatian Franciscans. In the Custody he served in the offices of Custos, Guardian of St. Anthony monastery in Chicago , and Councilor. He is a member of the Croatian American Academy. For many years he was president of the Association of Croatian Priests of USA and Canada and at that time editor of their news organ Vinculum Caritatis. He was a member of the Executive Committee of the Catholic Conference for Ethnic Problems with headquarters in Washington D.C.
Fr. Častimir was the founder or member of various patriotic organizations among immigrants that worked on assembling Croatian immigrants and kindling the hope of a newly established free Croatia . For his work during the Balkan war he was decorated by the first President of the Croatian Republic , Dr. Franjo Tuđman with the medal of the Order of Croatian Honor on May 27,1997 . It was conferred by the then Croatian General Counsel in Chicago , Domagoj Šola, June 20, 2000 at a eucharistic celebration at St. Anthony's in Chicagu. Although well on his way to his 96th year of life, Fr. Častimir still regularly writes memoirs of the 66 Herzegovinian Franciscans who were killed by the communists in 1945 and his contributions which are eagerly read are regularly published in Naša Ognjišta from Tomislavgrad in Bosnia and Herzegovina, and the Croatian Franciscan Newsletter from Chicago.